These beautiful apartments in the 80m area + 25m terrace are located in the center of Kyrenia with stunning views. All the infrastructure around you, shops 5 star hotels, restaurants, and so on. Just five minutes walk to the beautiful beach. 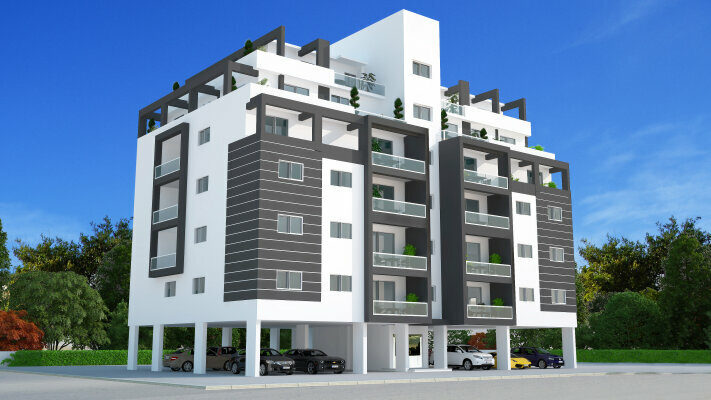 Apartments in these floors will be an excellent place for living and for recreation and an excellent investment. The bedroom has built-in wardrobes from floor to ceiling. Plumbing and furniture in the bathroom are also included in the price.